Continue the rich and vibrant Celtic tale of forbidden love, magical adventure, and political intrigue in the new book release of DAGGER’S DESTINY (Book 2 in the Curse of Clansmen and Kings Series); launched on September 26. DAGGER’S DESTINY is available as an e-book, a paperback, and an audio-book (coming soon). Yet, when Catrin again reunites with Marcellus, she is torn between her love to him and duty to King Amren. She must face her greatest challenger who could destroy her life, freedom, and humanity. Will Catrin finally break the ancient prophecy that looms over her kingdom? Will she abandon her forbidden love for Marcellus to win back her father’s trust and love? Can King Amren balance his brutality to maintain power with the love he feels for his daughter. 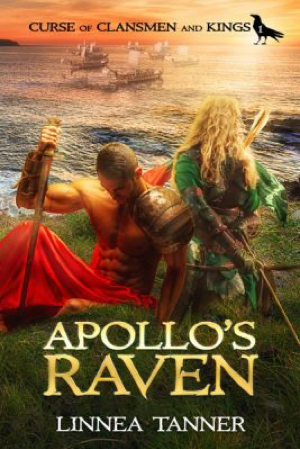 AWARD-WINNING APOLLO’S RAVEN sweeps you into an epic Celtic tale of forbidden love, mythological adventure, and political intrigue in Ancient Rome and Britannia. In 24 AD British kings hand-picked by Rome to rule are fighting each other for power. King Amren’s former queen, a powerful Druid, has cast a curse that Blood Wolf and the Raven will rise and destroy him. The king’s daughter, Catrin, learns to her dismay that she is the Raven and her banished half-brother is Blood Wolf. Trained as a warrior, Catrin must find a way to break the curse, but she is torn between her forbidden love for the enemy and loyalty to her people. She must summon the magic of the Ancient Druids to alter the dark prophecy that threatens the fates of everyone in her kingdom. Will Catrin overcome and eradicate the ancient curse? Will she be able to embrace her forbidden love for Marcellus? Will she cease the war between Blood Wolf and King Amren and save her kingdom? Thank you for helping me to celebrate the book launch of DAGGER’S DESTINY! The 2017 Colorado Gold Conference sponsored by the Rocky Mountain Fiction Writers will be held on September 8-10 at the Renaissance Denver Stapleton Hotel, 3801 Quebec Street, CO 80207. This promises to be an exciting event, as Diana Galbadon, the award-winning author of the OUTLANDER novels, will be a keynote speaker. I will be participating in the Author Signing and Book Sale that is open to the public from 8:00 p.m. to 10 p.m. on Friday, September 8th in Ballroom A/B at the Renaissance Hotel. My book, Apollo’s Raven, will be available for sale during the conference. There will be approximately 70 authors at the book signing, including Diana Galbadon and myself. On the following day, September 9th, I’ll be participating in the IPAL First Book Panel that will be held from 1:30 p.m. to 2:20 pm in Ballroom B. Mark your calendar for this fantastic event where you can meet with your favorite author. If you get a chance, stop by and chat with me. The Loveland Public Library will be sponsoring the third Local Authors Showcase on Saturday, October 7, 2017. The event will include presentations on marketing, webpage creation and publishing. The event is open to the public from 2:00 p.m. to 5:00 p.m. You’ll have the rare opportunity to meet and to interact with several Northern Colorado authors, including myself. You can buy books and get them signed at this event. I’ll have both softcover and special edition hardcover books of Apollo’s Raven for purchase and signing. If you can, drop by. I’d love to meet and to interact with you. I’m excited to be a part of Luciana’s launch team. 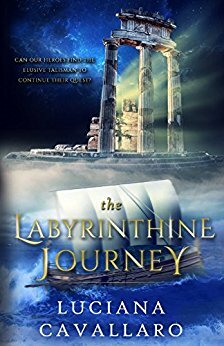 On October 1st, during her global launch of The Labyrinthine Journey, I and other authors of historical fiction/fantasy will be available for Q & A on Facebook at various time slots. This will be a great opportunity for you to win giveaways, such as Amazon gift cards, copies of e-books, signed books, posters, magnetic postcards and a swag. I’ll be offering free copies of Apollo’s Raven as part of the celebration for Luciana’s book launch. The Apollo’s Raven e-book will be reduced to 99 cents between September 11-17, 2017. Click on one of the following to purchase: Amazon, Barnes & Noble, and Kobo. Also note that you can order a signed, special edition of the hard cover book of Apollo’s Raven that includes free shipping in the USA. Order it under the category of books on my website. For authors you follow, I encourage you to write reviews of their books. This is the best way you can show your support. As always, thank you for your continued support and friendship.